Queen is a British rock band formed in London in 1970. They originally consisted of Freddie Mercury (lead vocals, piano), Brian May (guitar, vocals), John Deacon (bass guitar), and Roger Taylor (drums, vocals). Queen’s earliest works were influenced by progressive rock, hard rock and heavy metal, but the band gradually ventured into more conventional and radio-friendly works by incorporating further styles, such as arena rock and pop rock, into their music. Before joining Queen, Brian May and Roger Taylor had been playing together in a band named Smile with bassist Tim Staffell. Freddie Mercury (then known by his birth name of Farrokh “Freddie” Bulsara) was a fan of Smile, and encouraged them to experiment with more elaborate stage and recording techniques after Staffell’s departure in 1970. Mercury himself joined the band shortly thereafter, suggested “Queen” as a new band name, and adopted his familiar stage name. John Deacon was recruited prior to recording their eponymous debut album in 1973. Queen enjoyed success in the UK with their debut and its follow-up, Queen II in 1974, but it was the release of Sheer Heart Attack later in 1974 and A Night at the Opera in 1975 that gained the band international success. The latter featured “Bohemian Rhapsody”, which stayed at number one in the UK Singles Chart for nine weeks; it charted at number one in several other territories, and gave the band their first top ten hit on the US Billboard Hot 100. 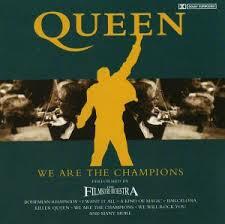 Their 1977 album, News of the World, contained two of rock’s most recognisable anthems, “We Will Rock You” and “We Are the Champions”. “The Trip” is short by Brazilian animator Antonio Vicentini featuring a cartoon Volkswagen bus driving through a series of increasingly psychedelic circumstances, set to the song “Chiero Verge” by the group Barbatuques. Vicentini, who created the pixelated animation “The Camera Collection,” based the drawing of the bus on artwork by Jesus Cardenas. Bob Dylan (/ˈdɪlən/; born Robert Allen Zimmerman, May 24, 1941) is an American singer-songwriter, artist and writer. He has been influential in popular music and culture for more than five decades. Much of his most celebrated work dates from the 1960s when his songs chronicled social unrest, although Dylan repudiated suggestions from journalists that he was a spokesman for his generation. Nevertheless, early songs such as “Blowin’ in the Wind” and “The Times They Are a-Changin'” became anthems for the American civil rights and anti-war movements. Leaving his initial base in the American folk music revival, Dylan’s six-minute single “Like a Rolling Stone” altered the range of popular music in 1965. His mid-1960s recordings, backed by rock musicians, reached the top end of the United States music charts while also attracting denunciation and criticism from others in the folk movement. Dylan’s lyrics have incorporated various political, social, philosophical, and literary influences. They defied existing pop music conventions and appealed to the burgeoning counterculture. Initially inspired by the performances of Little Richard, and the songwriting of Woody Guthrie, Robert Johnson and Hank Williams, Dylan has amplified and personalized musical genres. His recording career, spanning 50 years, has explored the traditions in American song—from folk, blues, and country to gospel, rock and roll, and rockabilly to English, Scottish, and Irish folk music, embracing even jazz and the Great American Songbook. Dylan performs with guitar, keyboards, and harmonica. Backed by a changing line-up of musicians, he has toured steadily since the late 1980s on what has been dubbed the Never Ending Tour. His accomplishments as a recording artist and performer have been central to his career, but his greatest contribution is considered his songwriting.